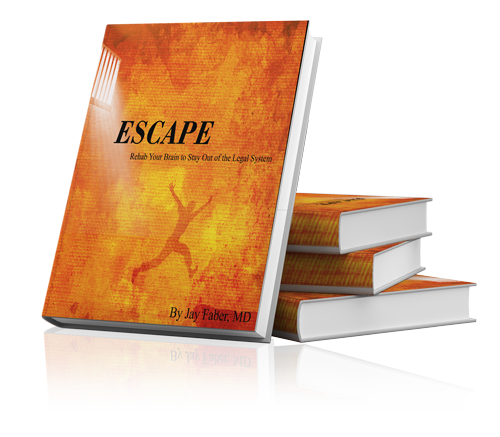 This is a free resource and Dr. Faber hopes those who read and follow the recommendations of "ESCAPE" will successfully change their ways and live the rest of their lives away from attorney offices, courtrooms, jails, and prisons. Join the mailing list to get your free copy instanty. Your copy is on it's way - Check your email.